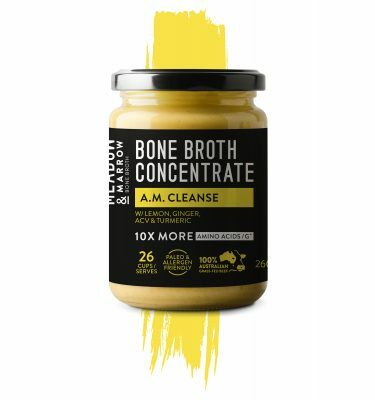 Bone broth is renown for it’s nutrient-dense healing properties, and the array of benefits it has on the body is simply impressive. Deep within the bones of healthy animals come the essential nutrients the human body needs for healthy growth, regeneration and healing. The complete amino acid profile coupled with the abundance of other nutrients make for the ultimate gut-nourishing food. 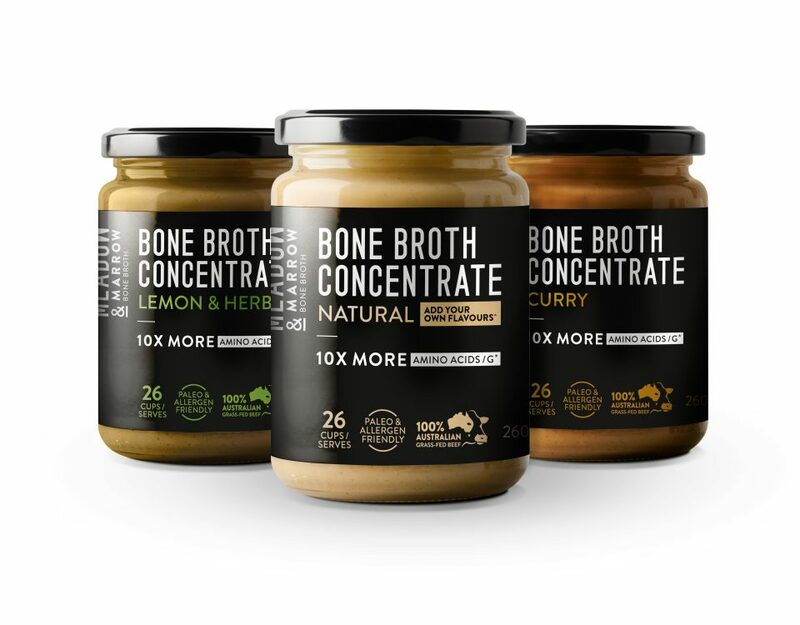 Bone broth is rich in collagen, supporting the hair, skin and nails with healthy regeneration and strength. 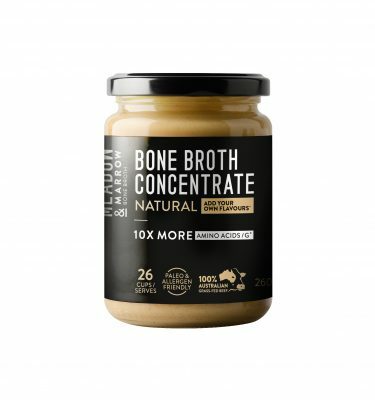 It is also extremely abundant in gut healing properties, supporting and promoting healthy digestion and the growth of good gut bacteria, as well as fighting off food sensitivities and repairing the gut lining. Bone broth also supports proper bone and joint health, whilst reducing inflammation and promoting a strong immune system. 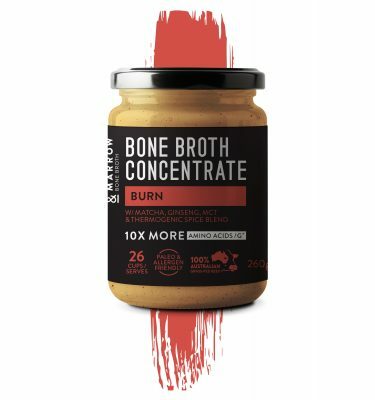 Meadow and Marrow Bone Broth Concentrate is created by drawing out the nutrients from 100% grass-fed and hormone-free Australian beef bones. The concentrate remains in liquid form (not dehydrated) so that the nutrients are kept in their most natural and digestible form. This concentrated bone broth is perfect for busy families or jet-setting travellers wanting to support their bodies while away from home.